It’s better for the planet—temporarily. 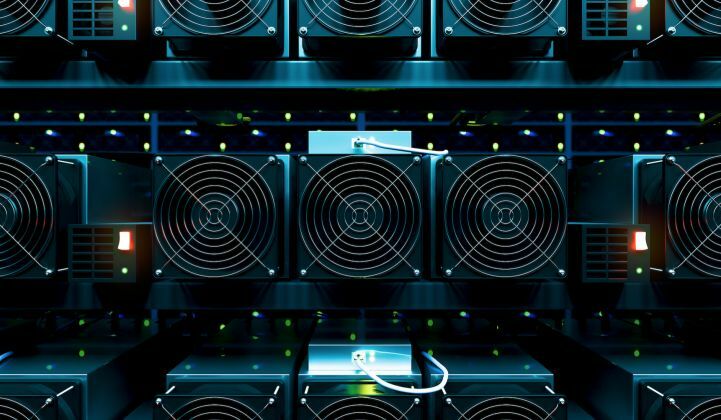 The cryptocurrency crash will slow the energy consumption of mining. Fears about the energy consumption of cryptocurrency mining have been temporarily quelled by a slide in the value of cryptocoins, including bitcoin itself. The world’s most popular cryptocurrency was trading at around $3,700 at the end of November, down almost 55 percent from its $8,200 value a year ago and more than 79 percent from its all-time high of $17,900 in December 2017. Bitcoin had been trading at a fairly stable rate of between $5,000 and $7,000 since June but began to slide mid-November onwards. It lost almost 41 percent in value between Nov. 13 and Nov. 26, sparking panic among crypto investors. Other major cryptocoins fared no better. At the end of November, the world’s second-largestblockchaincurrency, ethereum, was down around 78 percent from a year ago and 92 percent from its all-time high in January. And bitcoin cash, widely seen as bitcoin’s main competitor, was down 89 percent from a year ago and 97 percent from its December 2017 peak. Bloomberg noted that the coins’ depreciation since December of last year had wiped around $700 billion off cryptocurrency markets. That’s the same amount as was used to bail out U.S. banks after the subprime mortgage crisis in 2008. Most of the fall in cryptocoin values happened at the beginning of this year, when investors panicked at the prospect of regulatory crackdowns in key markets such as China. Like bitcoin, though, ethereum and bitcoin cash had been trading in a fairly stable fashion in recent months. The reason for the latest decline is unclear, although some observers blamed uncertainty from a planned division, or "hard fork" of bitcoin cash to form a new currency. While further losses are bad news for investors, the crypto crash could have a silver lining in terms of global energy consumption. Blockchain-based cryptocurrencies have traditionally relied on a process called proof-of-work for transaction validation and new currency creation. Proof-of-work relies on computational problem-solving that increases in difficulty along with the value of a cryptocoin, a process known as mining. In bitcoin’s case, the computing effort is believed to require as much energy as a medium-sized country. Concerns over bitcoin’s energy use didn't diminish after the currency lost much of its value in early 2018, because the cryptocurrency’s previous peak spurred the creation of a host of alternative coins based on blockchain. Even at the start of November, a paper in Nature claimed that cryptocurrency mining for four popular coins — bitcoin, Ethereum, Litecoin and Monero — was taking up more energy than real-life mining, for an equivalent market value. “While the market prices of the coins are quite volatile, the network hashrates for three of the four cryptocurrencies have trended consistently upward, suggesting that energy requirements will continue to increase,” worried the authors. There are signs the latest drop in crypto values may have changed the picture, though. According to the Digiconomist Bitcoin Energy Consumption Index, created by PricewaterhouseCoopers data consultant and blockchain specialist Alex de Vries, bitcoin energy consumption fell around 27 percent in the last two weeks of November. The cryptocurrency still uses more energy than Bangladesh, though. 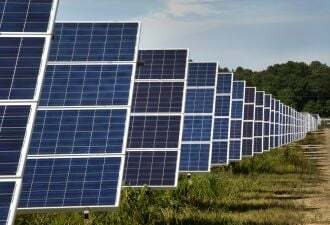 Scott Clavenna, chairman of Greentech Media at Wood Mackenzie Power & Renewables, said bitcoin’s high energy consumption was not only a sustainability problem but also an issue for those dreaming of a truly decentralized currency. As the price of bitcoin goes up, so does the incentive to invest more in energy-hungry mining equipment, he said. Consequently, the mining ecosystem has consolidated around players who can afford massive mining operations or who band together into large mining pools. “We have a bitcoin market today that consumes tremendous amounts of electricity for questionable value, while not quite delivering on true decentralization of a financial system because of mining consolidation,” Clavenna said. Many miners will drop out of the bitcoin network because the current price cannot cover the cost of mining operations, he said. At the same time, though, with fewer participants in the bitcoin mining pool, the difficulty of the algorithm should drop. “I’m not entirely sure what will happen to energy consumption net-net, but it will be very interesting to see how many miners drop out of the market in this downturn,” Morris said.